Ahead of the 1 April 2019 deadline, Yamaha has updated the Ray Z with UBS (Unified Braking System). Thanks to the safety net, the Ray Z has now received a revised pricing of Rs 51,417 (ex-showroom Delhi). Yamaha Ray Z prices start at Rs. 51,417 (Ex-Showroom). Yamaha Ray Z is available in 1 variants and 4 colours. The claimed ARAI mileage for the Yamaha Ray Z petrol is 66 kmpl. Q. Is this best then Yamaha Ray Z new street rally and Activa 5G? Q. 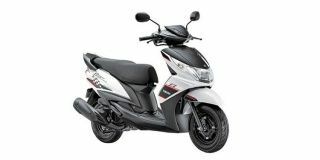 Which scooter is best compare honda dio and yamaha rayz? Q. What is the engine oil grade for Ray Z? We would suggest you use SL 10W40 MB oil. Moreover, we would suggest you get in touch with the service centre as they will be the best people to assist you with this concern. Q. Which vehicle should I buy between Yamaha Ray Z and Honda Dio as I am a short height girl and I need scooty for college which can work for long term. Please suggest between the 2. Q. Is Ray Z suitable for ladies? Ray Z is the best for ladies. Low maintenance and high comfort. Just check your oil and air filter timely. Following the success of the Yamaha Ray, which is a women-centric scooter, Yamaha launched the Ray Z targeted at men. The Ray Z makes for a great package overall combining sporty looks and the goodness of the regular Ray such as a frugal engine and easy, comfortable ride.